At Performance Physical Therapy, we specialize in the treatment of orthopedic and sports related injuries, neck and back pain, therapy for older adults as well as balance disorders/fall prevention. Physical therapists are the experts in evaluating and treating musculoskeletal problems. We use our knowledge of anatomy and exercise to help our clients recover from a wide variety of conditions. We share a commitment to excellence when it comes to serving our clients and helping them reach their goals, whether it be returning to work, a sport or their everyday life activities. Skip the script - No Physician Referral Required! One hour initial evaluations and 30-45 minute one on one follow-up treatment sessions. Convenient hours to accommodate patients' work and school schedules. Announcing Ryan Martin's New Certification! 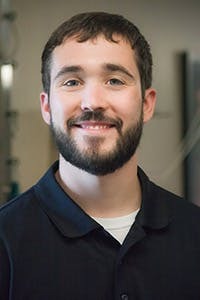 Our newest staff therapist, Ryan Martin, DPT, Cert MDT recently earned his certification in Mechanical Diagnosis and Therapy of the Spine and Extremities (MDT) through the McKenzie Institute USA in May 2018. This MDT certification recognizes therapists who have completed the rigorous training in examination and treatment of the neck, lower back and extremities offered by the McKenzie Institute and passed the certification exam. Based on sound research, The McKenzie Method is one of the most widely used systems of examination and treatment of spine and extremity disorders by physical therapist throughout the world. Ryan joins practice owner Mike Fay, PT as the only certified MDT therapists in Fulton or Elbridge, NY. Congratulations, Ryan! My experience at Performance PT has been wonderful and very, very helpful. I wish I had come sooner. My treatments have completely cured me of neck pain! Thanks to Mike Fay, I'm healed. He was great, very informative, patient and soft spoken. He treats you like a person and not just another patient. Mike Fay was excellent in handling my plantar fasciitis. I was in pain for 1-1/2 years. The pain is gone and I have returned to my normal activities. The level of care I received at Performance Physical Therapy was fantastic! I would recommend anyone needing physical therapy to see Mike, Jeff or Mike at Performance PT! I had a fantastic experience at Performance Physical Therapy! My therapist, Mike Ryan, worked exclusively with me at each session. I have and will continue to recommend Performance PT to anyone. Michael Fay has done a great job with me. I can now go to the grocery store without the hurt I had in my groin and I am sleeping so much better I would recommend him to anyone.